Local family garage Gregg Little Testing Centre has created two new payment options to spread the cost of motoring. The new packages are designed the help customers who may be worried about an outlay on their car after the cost of Christmas. The Service Plan enables motorists to spread the cost of servicing, repairs and MOTs. The family-run garage also has a separate Payment Assist scheme, which is an immediate relief for a large repair bill (of at least £350) and can be paid monthly over the year, with no credit check required. It comes just a couple of months after Gregg Little Testing Centre announced free winter health checks for motorists, to offer peace of mind during the cold months. 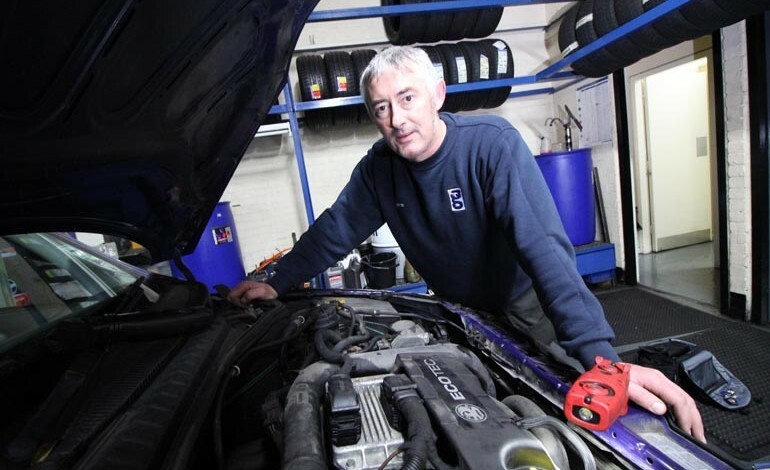 Technician and workshop manager Norman Travers said: “We appreciate that the costs of looking after a car can be a burden, especially at this time of the year. “We’ve all spent a lot of money over the Christmas and New Year period and, for some, the annual service or a repair bill can heap financial pressure on the motorist. The Service Plan can be run over a one-to-three-year period. A typical monthly payment of £40 would give the motorist an annual budget of £480, relieving the worry of an unexpected bill. If a motorist is landed with an unexpected bill, the Payment Assist scheme gives them the option to spread the cost in four equal payments, with no interest fees involved and a quick decision guaranteed. Norman added: “We’re continually looking for ways to make keeping cars on the road as easy as possible. “As we’re a family-run local garage, we have hundreds of regular customers from Newton Aycliffe and surrounding areas and we know them all personally, which makes schemes like this easy for us to introduce. Both schemes start this month (January) and customers just need to call the garage or pop in to discuss further. In November last year, Gregg Little Testing Centre announced free winter health checks for motorists. Worth up to £15, the health checks involve looking at tyres, the battery, wipers, the engine, heating and ventilation, washers and anti-freeze as well as starter and charger systems. Service and MOT packages are also available from Gregg Little Testing Centre, with MOTs from £29.95. Motorists can contact Gregg Little Testing Centre to discuss their new payment options. Please quote Aycliffe Today.